Help us identify and nominate deserving leaders who promote inclusion and collaboration in their communities. 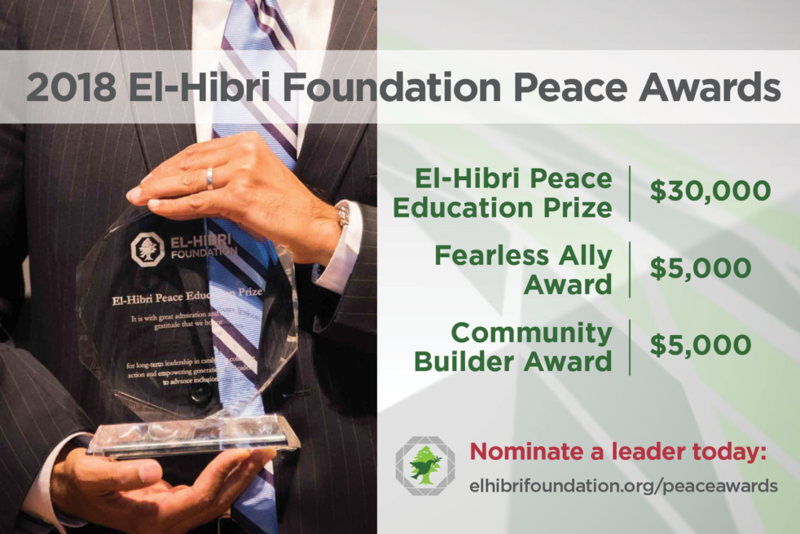 Express your gratitude to a leader by taking a few minutes to submit a nomination for one of these awards. The deadline for nominations is 11:59pm EST (DC Time) on Monday, April 30, 2018. 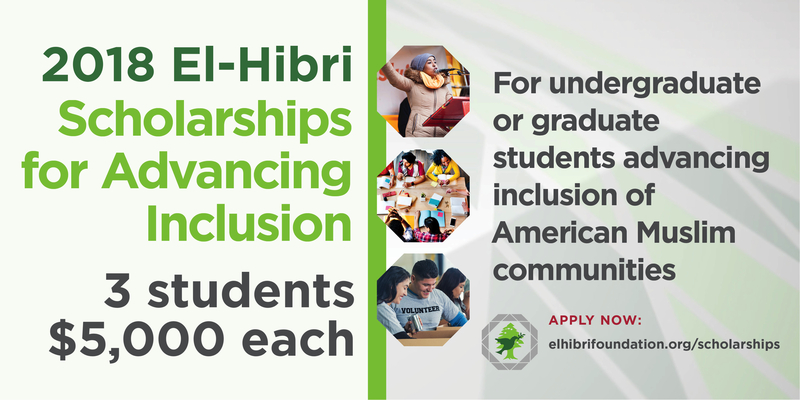 Each year, the El-Hibri Foundation offers three $5,000 scholarships to undergraduate or graduate students significantly focused on advancing American Muslim inclusion. We believe that by supporting emerging leaders engaged in this work, we work toward fostering peace, understanding, and collaboration in communities across America.